JFest, the four day festival of national and international Jewish-related music, art and dance takes place this year between Sunday 29th June and Wednesday 2nd July. Included in their varied programme is a double-bill of jazz on July 1st at Carriageworks Theatre in Leeds. Jazz at the Fest kicks off with Judessa Jazz, a London-based group led by pianist Roland Perrin. Roland Perrin's arrangements combine irresistible world music grooves and jazz improvisation around Sephardic melodies, Klezmer, Hassidic themes, American songbook, classical and an array of Jewish music styles. Roland's pedigree as a composer, pianist and educator has led this outstanding international quintet of clarinet, saxophone, piano, bass and drums to play with some of the world's top musicians including Jim Mullen, Gregory Schechter, Ska Cubano, Salsa Celtica, Pete King, and many more. Personnel: Roland Perrin (piano), Jeremy Shoham (alto/clarinet), Roberto Manzin (tenor/clarinet), Emmanuel Oladokun (bass) and Eric Kwame Foli (drums). 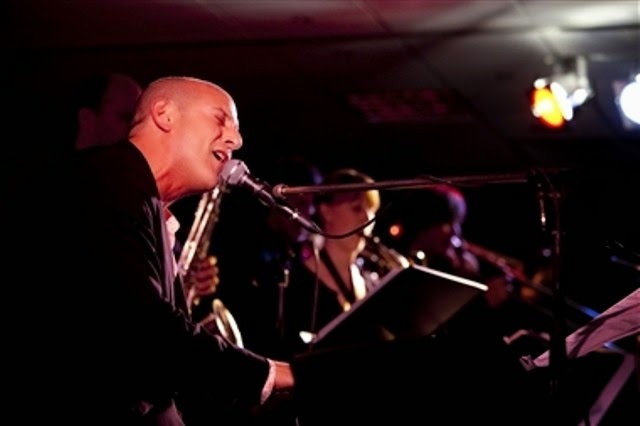 Following this gig is singer and pianist Jeremy Sassoon and band from Manchester. Jeremy is a charismatic, original and highly entertaining front man, always accompanied by a band of the highest calibre of musicians. His distinctive and evocative style has led him to top jazz venues in London and Europe, such as Germany's premiere jazz venue, The A Trane Jazz Club, Berlin, Ronnie Scott's Jazz Club, Soho and The Boisdale Club in Canary Wharf. Further information on these gigs plus a full festival line-up can be found at the JFest website.